Hi! Happy Almost Thanksgiving to my US friends! 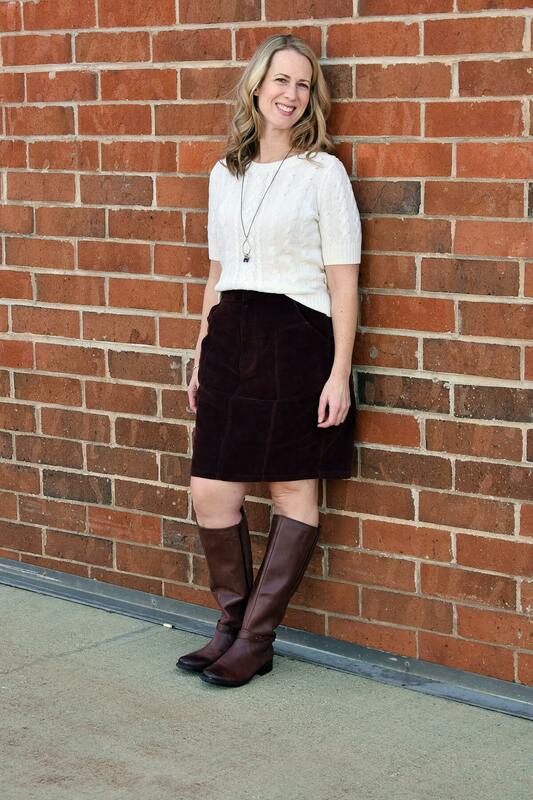 Did you see that Kelli from True Bias released a new pattern this week? 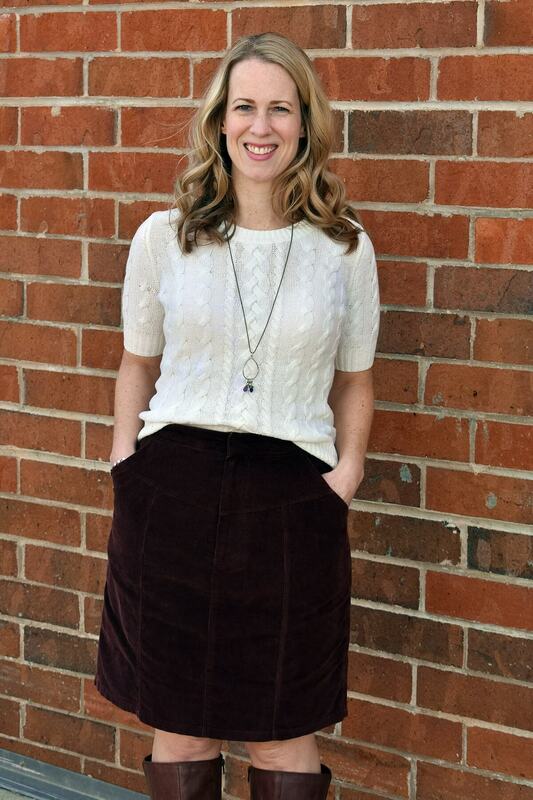 It’s called the Salida Skirt and I was a tester for the pattern. This is my tester version of the skirt and as far as I know not much at all changed for the final version. I made view A, which is the knee length version. 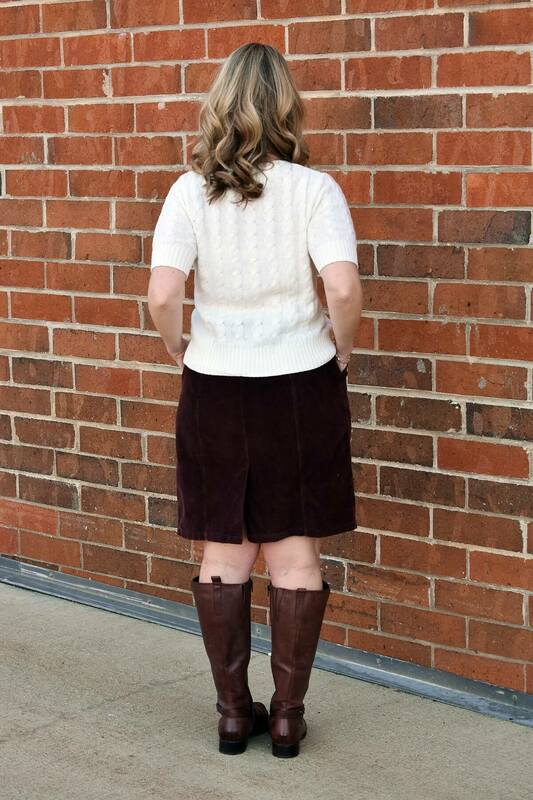 Both views have a high waist, v-shaped yokes in front and back, and paneled skirts. 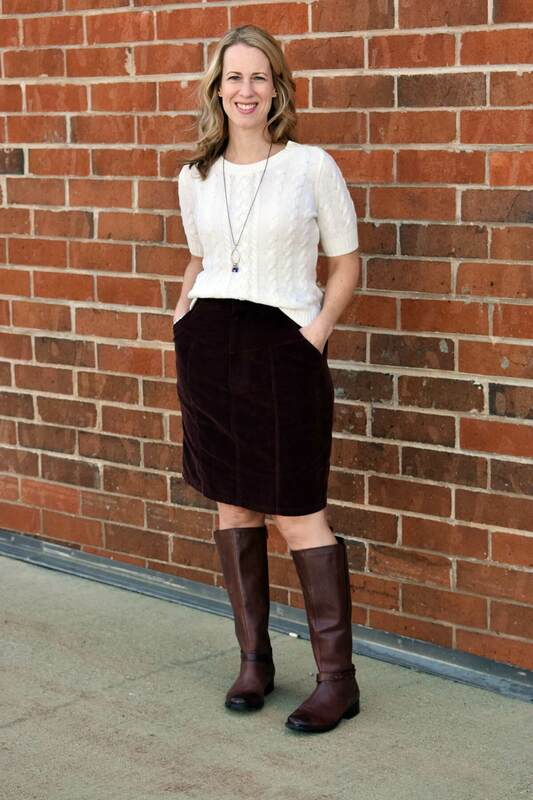 The skirt has a zip fly and is finished with a hook and bar at the waist. Both views also have slash pockets. I love the pockets! 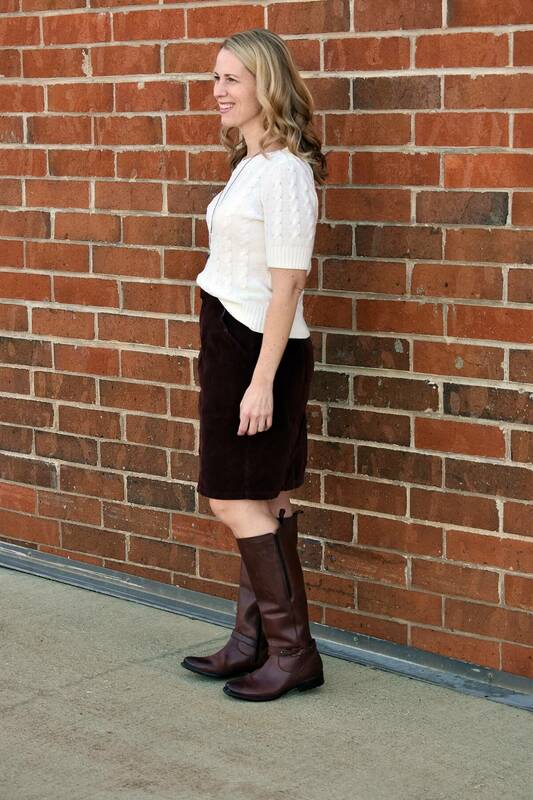 There is a lot of great opportunity to do topstitching or even color blocking with the yoke and panels on this skirt. A few other testers did color blocking and at least one used piping to highlight all of the different seams. 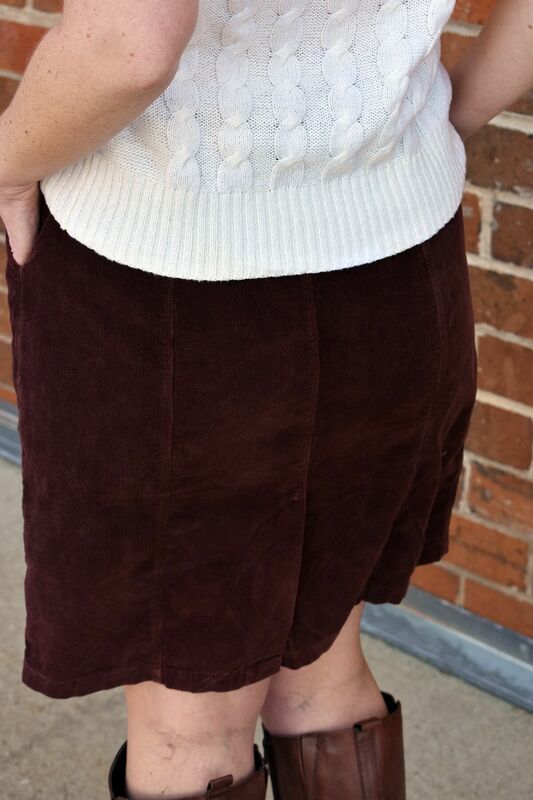 I made my skirt from a chocolate brown cotton corduroy that I ordered from Shop Well Fibre. I believe this was second hand, thrifted fabric! 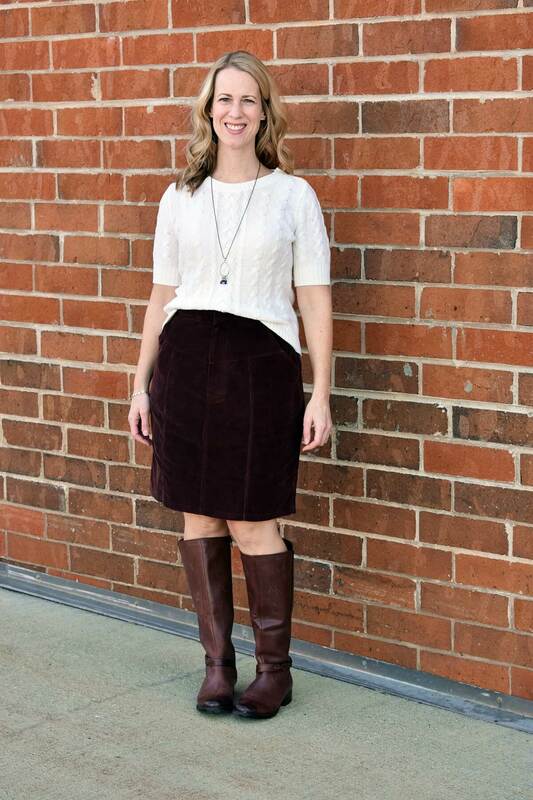 It was in great condition and was/is perfect for this skirt! 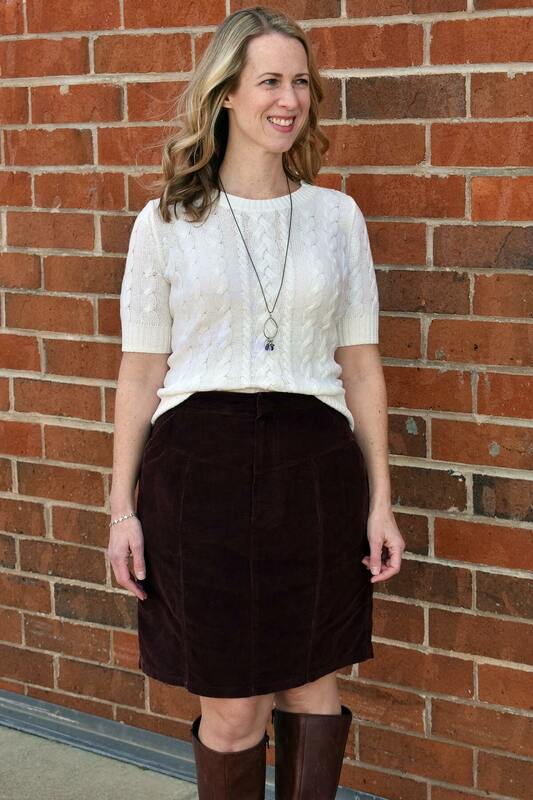 This skirt fit me great with very minimal adjustments. I cut a size 12 graded to a 16, which is my typical size in True Bias patterns. I sewed the side seams at a little bit larger seam allowance since the skirt was a little loose at first. Other than that I made no changes. The skirt fits so nicely! The back panels add nice shaping and the vent gives walking ease as well as being a nice feature. I don’t have many fitted skirts so this is such a great addition to my handmade wardrobe. I’m definitely thinking I would like one in black and maybe denim, too! 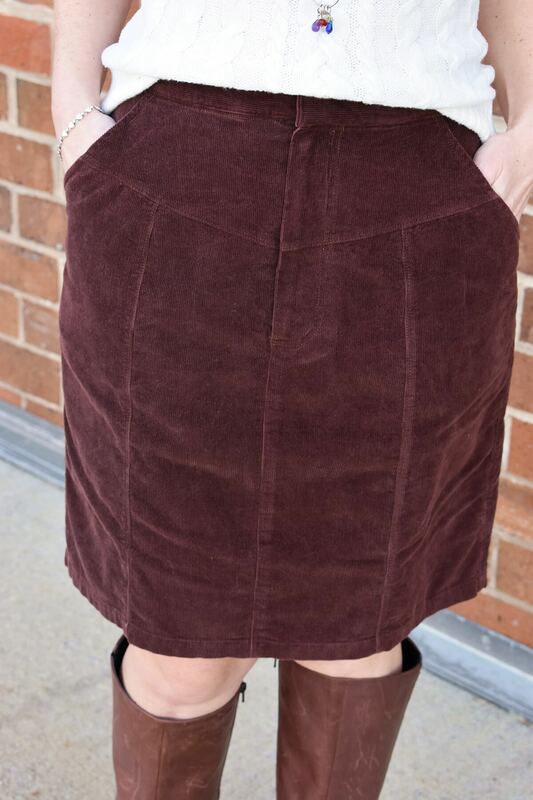 I really enjoyed sewing this skirt since I love doing piecing and topstitching. Kelli created a YouTube video tutorial for how to sew the zip fly but I found the instructions be really detailed and I had no problem sewing it based on the instructions. 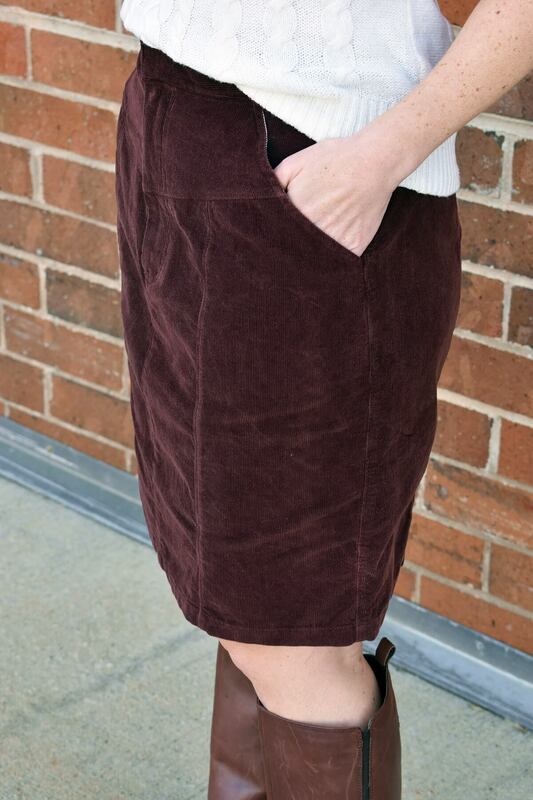 I love this skirt in corduroy for Fall/Winter. 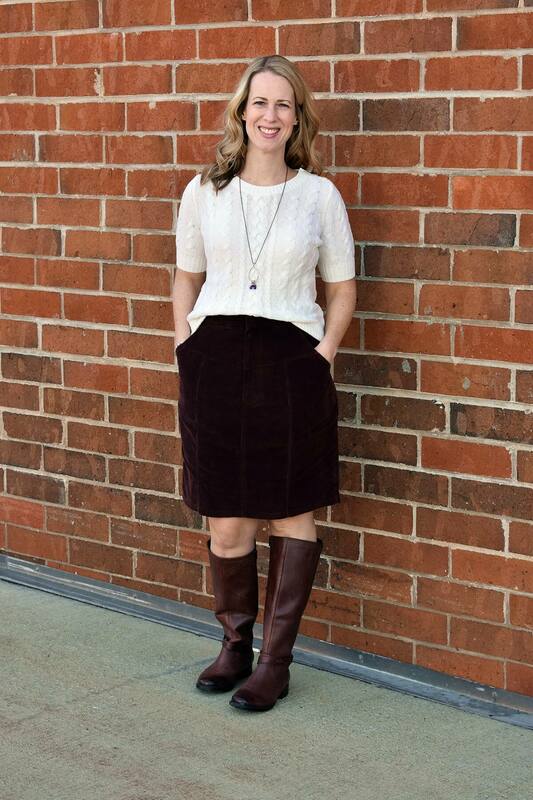 It’s perfect paired with my riding boots, but would also be cute with booties or flats… or clogs if I had any of those! After seeing Kelli’s and some of the other testers versions of View B, which is midi length and has a flared silhouette, I am really excited to make that one eventually. I need to search my stash to see if I have any fabric that will work– if not that might be something I shop for in Black Friday/Cyber Monday sales later this week. 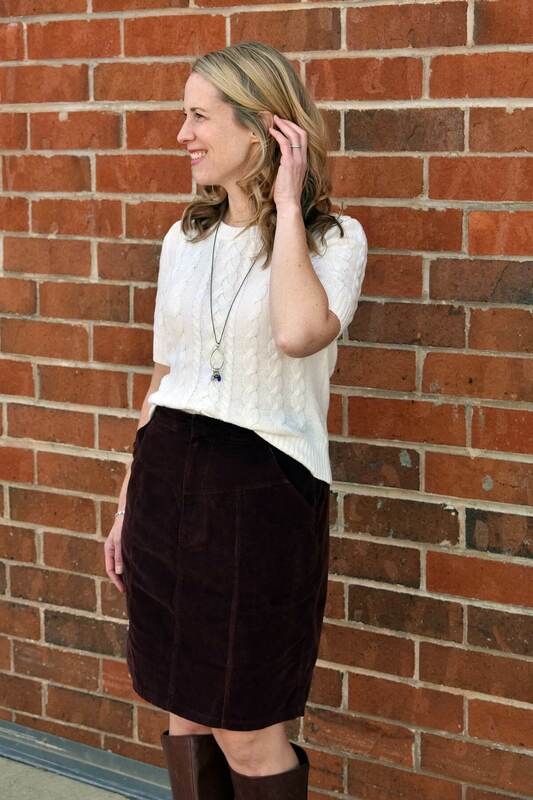 The Salida skirt is on sale through today (25% off with code SALIDALAUNCH) so if you’re interested in the pattern now is a great time to buy! I hope you all have a wonderful Thanksgiving!